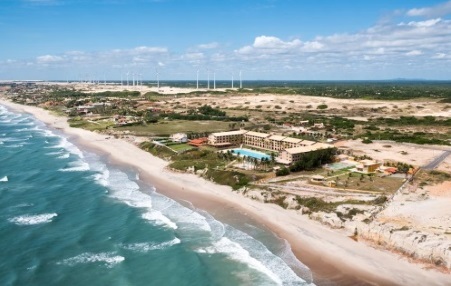 The Hotel Parque das Fontes and Coliseum sits perched on the cliffs overlooking the beach. Praia das Fontes is truly one of Ceara's natural wonders. 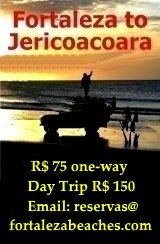 Only 5 kms from the infamous fishing village Morro Branco and within easy reach of Lagoa do Uruau, Ceara's largest lake! The luxurious Coliseum Hotel recently completed is strategically built into the natural beauty of its surroundings along Praia das Fontes. 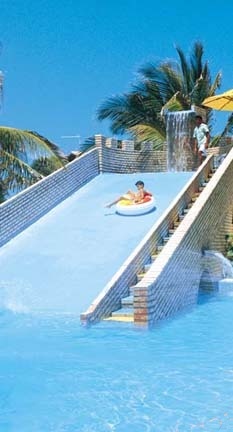 This amazing resort is only 78 kms from Pinto Martin International Airport. Halfway between Fortaleza and Canoa Quebrada. Making it a perfect stop for exploring Ceara's Sunrise Coast! The Hotel Parque das Fontes picture book setting is spread over 8 hectares along Praia das Fontes. 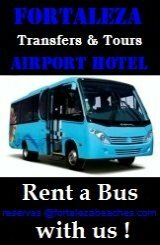 Conveniently operating under the same management as the Hotel Parque das Fontes, nearby. 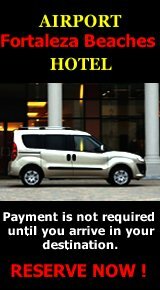 Offering the perfect option to those who prefer their accommodation to include all that would be required in the receiving of kings and of queens. With Praia das Fontes in clear view the swimming pool complete with pool bar is perfect for drinks, light meals or snacks. a private and relaxing atmosphere. 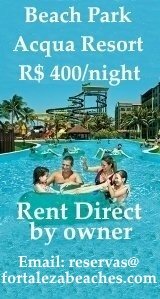 Daily from any Fortaleza Hotel R$ 45,00 ! There are 2 restaurants. The Caravelas overlooking the lake with sea views. Breakfast, lunch and dinner are served buffet style. The Iracema where dinner is served "À La Carte". (Availability is subject to your previous reservation). 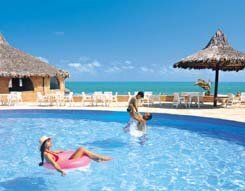 The Hotel Parque das Fontes is the only resort in Ceara with the "All Inclusive" system. 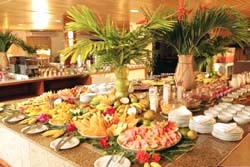 Enjoy the freedom to choose between the wide variety of International and Regional dishes. sound of Bossa Nova music! 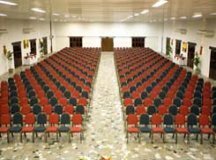 The Hotel Parque das Fontes - Praia das Fontes has 253 rooms, divided into the following four categories, Suite, Superior Chalet or Chalet and Standard. 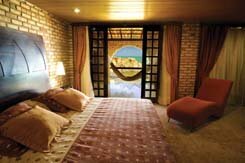 All the rooms are designed and equipped to deliver 4 star level comfort. The Hotel Parque das Fontes is well prepared to host groups, and events with 5 meeting rooms in various sizes. A capacity for up to 600 people and modern state of the art audio visual equipment. Ping-pong; Gymnastics; Beach promenade; Tennis; Beach football and indoor football; Skibunda; Brazilian dance classes - Forro, Axe and Samba; Polo; Pool Voleyball or Basketball; Hydrogymnastics. Brazilian dance classes; Dance contests; Game night; Humor Show; Samba Show; Folclore Show; Dances from Baia; Local folclore musical show; Forró; Pagode and Live Music. 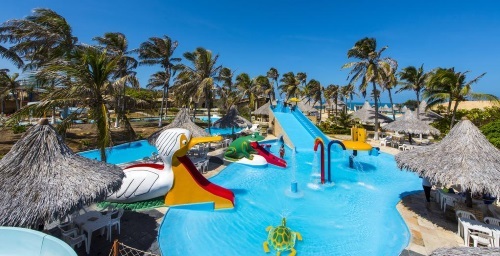 Several painting, drawings and other works in kids club; Gincana; Games in pool; theater and muppet shows in kids club; excursions to the aquatic park; games in the beach; table games and Treasure seek. Photos and Info on the Municipality of Beberibe Ceara ! 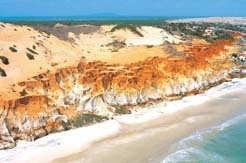 Photos and Info on Morro Branco here ! Photos and Info on Praia das Fontes here !